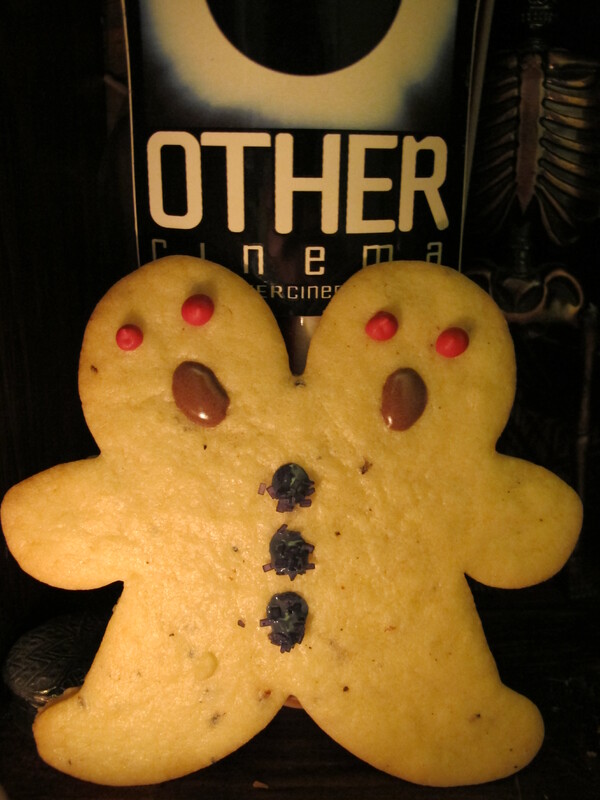 Limited Edition Other Cinema Conjoined Cardamom Twins! Their bleeding eyes and gaping mouths…it’s only horror from watching too many hours of Korla Pandit at the organ. 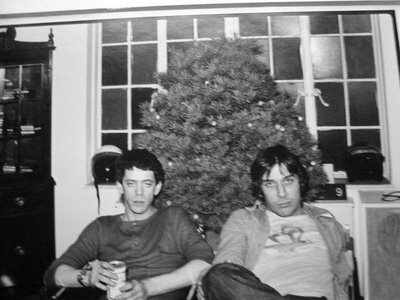 Please put them out of their misery tonight at the Other Cinema Benefit Celebration! thanks & Other Cinema Benefit Celebration this Saturday! Thanks to everyone who came out to the Lab’s Holiday Art Sale last weekend; your support is greatly appreciated. Thanks also to all the delicatrocities elves who helped out…couldn’t do it without you! This Saturday, December 17th, is the OTHER CINEMA BENEFIT CELEBRATION at Artists’ Television Access Gallery. Like the Lab, Other Cinema has been around for about 27 years! It continues to be a bastion of underground and marginalized cinema; unparalleled in its inventive and cutting-edge programming from luminary Craig Baldwin, in addition to providing a much-needed oasis and lab for burgeoning filmmakers and film enthusiasts. There really is no place quite like it, and it needs to be celebrated and supported!! delicatrocities will be on hand to supplement the festivities, with the majority of proceeds going to support Other Cinema and its Spring 2012 season. If you would like to reserve any items, or place an order in advance, please don’t hesitate to email: delicatrocities@ gmail.com. 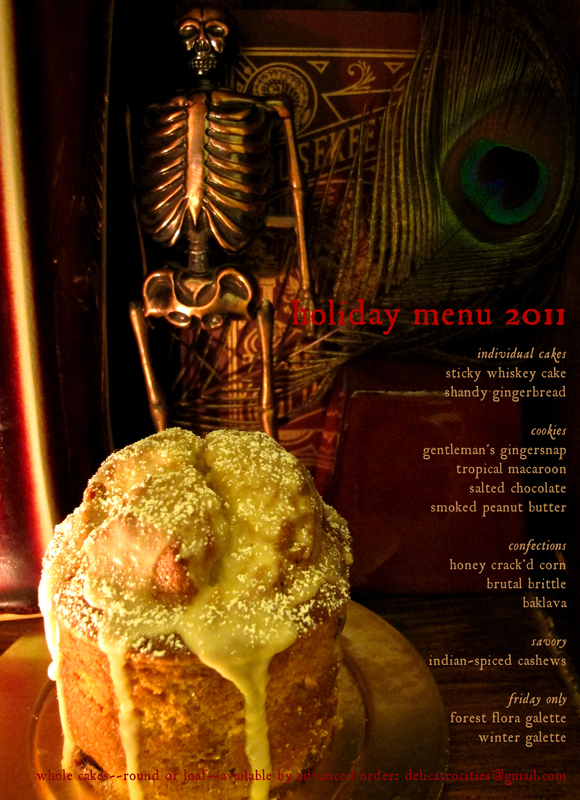 There will be a few alterations, and additions to the current Holiday Menu…stay tuned! CALL FOR VOLUNTEERS! If you would like to support Other Cinema with your assistance, I am looking for a volunteer to help with the delicatrocities effort, from 6:30pm-10pm on Saturday. You will be rewarded! So please come out and show your support, and if you can’t make it, I encourage you to donate via their Kickstarter campaign. On Sat. December 17th, ATA Gallery hosts a benefit celebration for its flagship programming project, Other Cinema. Grounding the gallery’s media arts exhibitions for some 27 years, OC will be feted by such long-standing collaborators as Anne McGuire & Wobbly, once again joining forces as the vocalist/electronics duo Freddy McGuire; Kerry Laitala & John Davis’ live-cinema phantasmagoria; Greta Snider’s new black and white experiment; Bryan Boyce’s hilarious video wizardry; Bill Daniel’s historic S8 bike messenger jamboree; Jeffrey Skoller’s tell-all tabloid on Baldwin in his younger days; Jesse Drew’s media surprise; Archimedia’s duet; Goldwave’s ever-awesome opticals over Blackmonk’s groovy tunes; and others. Friends, fans, and followers are encouraged to demonstrate their support, and have a jolly good time doing it, with delicious atrocities from delicatrocities! Please also pledge your support for the Other Cinema Kickstarter campaign, for lots of great art prizes. New rewards are pending, so keep an eye out! Showtime is 9PM. Admission is sliding-scale, from $6.66 to $99.99. With the successful partnership between delicatrocities & the Victoria Theatre, we are in full production mode…a great way to begin the holiday season! Now, ramping up for this weekend’s much anticipated Winter Wunderkammer Holiday Art Sale at The Lab, capped by the energized Optronica show at Artist Television Access’ Other Cinema. As a result, delicatrocities will take a hiatus this week from the Victoria Theatre’s Thursday-Saturday shows, but will return on Thursday, December 15th. Advance orders, commissions & requests are always welcome. Please contact: delicatrocities@gmail.com to explore the possibilities!